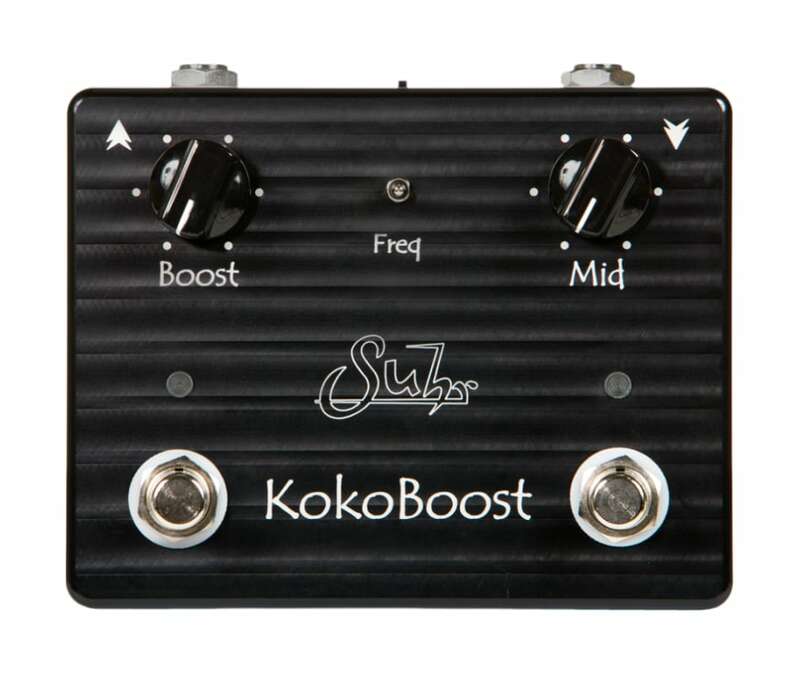 Koko Boost is a unique boost pedal that incorporates both a clean transparent boost and a selectable midrange boost. Koko will expand the range of your tube amplifier and Overdrive / Distortion pedals. Adjusts the overall output of the boost circuit. The Boost control varies from 0dB (unity gain) to +20dB of gain. Turning this control to higher settings will efficiently push the front-end of your amplifier and create a broad range of natural overdriven tones.